There is a growing need for mobility – worldwide. By 2025, there will be approximately 1.5 billion cars on the roads. Electromobility, especially in combination with renewable energy, is an important contribution towards addressing global mobility needs. For this, we need the development of a sustainable and low-carbon value chain for batteries in order to contribute to the implementation of the 2015 Paris Climate Agreement. Batteries power electric vehicles, portable electronics devices and back up renewable energy in homes, businesses and national grids. They are a key enabler of global efforts to curb climate change, and market developments reflect this. 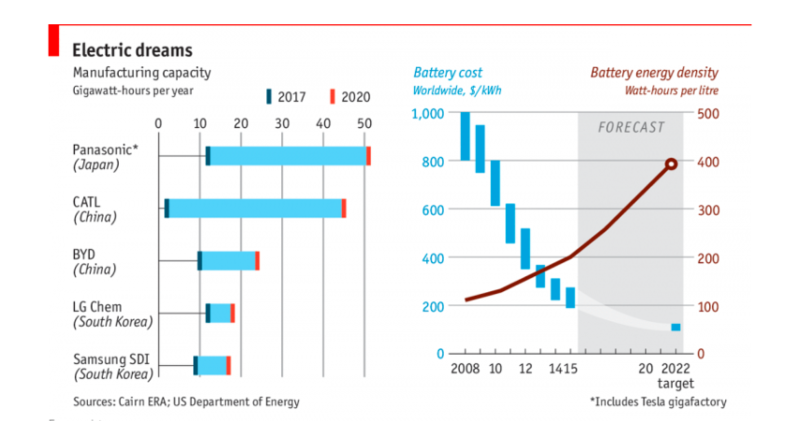 The global battery market is surging. By 2040 the global energy storage market is projected to attract $620 billion of investment. 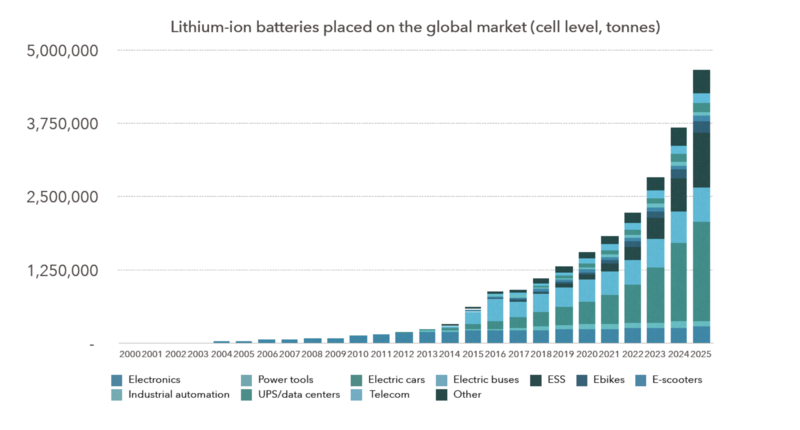 Over the past decade, the rechargeable lithium-ion battery market doubled on average every three years. Batteries are a core technology underpinning the shift to energy decarbonization and transport systems, and could be a game changer in efforts to curb climate change. Historically, portable electronics have been the primary driver of growth in the battery market; however, today the growth in demand comes from electric vehicles. First, stable and transparent raw material supply chains must be built, characterized by good working conditions and providing shared prosperity. This includes alignment on standards and assurance frameworks as well as the mobilization of blended finance at scale to tackle challenges such as child labour. Second, a circular, low-carbon and pollution-free value chain must be created to unlock the potential for batteries to contribute to the realization of the 2015 Paris Agreement. - We need clear and firm commitments and coalitions of public, private and civil society organisations agreeing to align investments. The target is to develop and endorse standards for responsible, sustainable sourcing of cobalt and lithium supply chains. - We need to assess the opportunities associated with a circular economy for batteries. Multiple action partnerships have to be formed to define sustainability criteria for battery design, and lower transaction costs in electric vehicle battery reuse and recycling. - We need to support existing commitments to boost battery storage and the electrification of transport in low and middle-income countries. The Global Battery Alliance is a unique public-private partnership and collaboration platform whose aim is to accelerate public-private action towards the aforementioned goals. It brings together businesses along the value chain with governments, international organizations and civil society to coordinate and boost the many good efforts that are already underway. This year, we must build on the momentum already generated - by the World Bank’s $1 billion investment in battery storage, for example, or the Global Battery Alliance’s mission to build responsible global battery supply chains. Realising these goals will take us a big step closer to a world in which batteries power sustainable development.